Meet the mysterious Professor Charles Xavier. At his exclusive private school in Westchester New York, he is known simply as Professor X to his unusual collection of students. Costumed and exhibiting strange powers, the four young men push themselves mercilessly at honing their skills and endurance. Angel, Beast, Cyclops and Iceman show the recklessness and lack of discipline of typical teen boys, and wait until the beautiful Jean Grey arrives for the infighting for her affection to start. There isn't long for Professor X to get them ready, because the first mutant menace, Magneto, is waiting in the wings, taking control of a military base. Their fight ends in stalemate, and Magneto escapes. 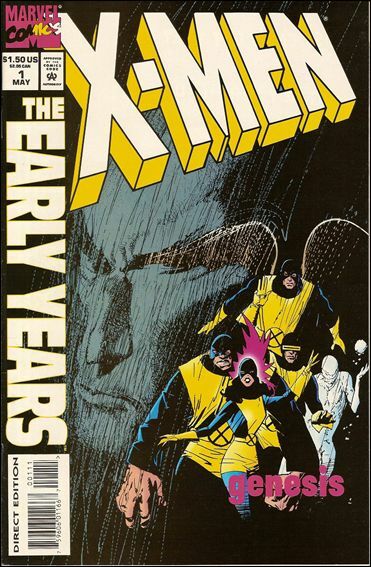 First appearances of Professor X, Cyclops, Marvel Girl, Beast, Iceman, Angel, and Magneto.